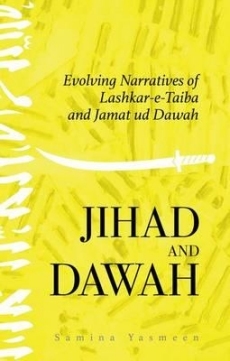 This book provides a detailed account of the emergence and metamorphoses of Lashkar-e-Taiba (LeT) and its political arm, Jamat ud Dawah, since the early 1990s. Linking the group's narratives to the process of Islamisation in Pakistan and divergent views on the country's Islamic identity, it is the first systematic analysis of how the organisation, globally reviled as the perpetrator of the 2008 Mumbai Bombings, has developed its conception of da'wah (proselytising) and jihad in response to regional and global developments. Samina Yasmeen makes extensive use of Urdu materials (pamphlets, books, ephemera) by Markaz Da'wah wal Irshad, the parent organisation of LeT, to examine the 'insider's vision' of the dominant threats to Pakistan and the Muslim ummah, as well as strategies for countering these threats. She argues that while adopting an oppositional narrative vis-a-vis India and the West, LeT has increasingly turned its attention to da'wah narratives within Pakistan engaging with broader spectrums of society. Women have increasingly been assigned significant agency in this narrative, and JuD's activism in education and social welfare has helped it acquire social capital. This, in turn, prompts a re-imagining of the movement's relationship with the Pakistani military. About the Author: Samina Yasmeen is Director of the Centre for Muslim States and Societies and teaches Political Science and International Relations at the University of Western Australia, Perth. She has conducted extensive research on Islamisation, jihadism and women in Pakistan, as well as Muslim citizenship in Western liberal societies. Be one of the first to review the Jihad and Dawah.